Congratulations, Jeff Cherry, on Your Client Champion Award! All attorneys who have been named Client Champions have their status reevaluated twice annually, to ensure that attorneys are recognized for the good work they have done and continue to do for their clients. Jeff Cherry is an award-winning criminal defense attorney who has long championed the best interests of his clients. Along with his numerous accolades for his work ethic and his abilities, he has also been recognized for putting his clients’ best interests first. Some of those awards include an AV Preeminent Rating by Martindale-Hubbell, and a “Superb” rating of 10/10 by Avvo. 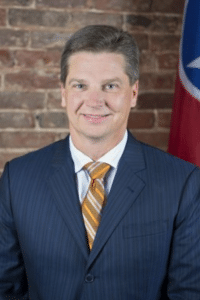 He has also been named the “Best of the Bar” by the Nashville Business Journal, and won the Workhorse Award from the Tennessee Association of Criminal Defense Lawyers. Mr. Cherry has also won substantial verdicts on behalf of his personal injury and criminal defense clients, including a $1,000,000 settlement for a wrongful death case in Wilson County, and the successful overturning of a criminal conviction that would have kept his client imprisoned for 24 years. At the heart of this work is the understanding that every client deserves the best possible defense Mr. Cherry can provide. His meticulous approach to the law, along with his willingness and ability to fight aggressively on behalf of his clients, has earned him the respect of those clients and his peers. Clear and open communication is a staple of the firm and of Mr. Cherry’s practice. Congratulations, Jeff, on your latest award. You certainly deserve it.